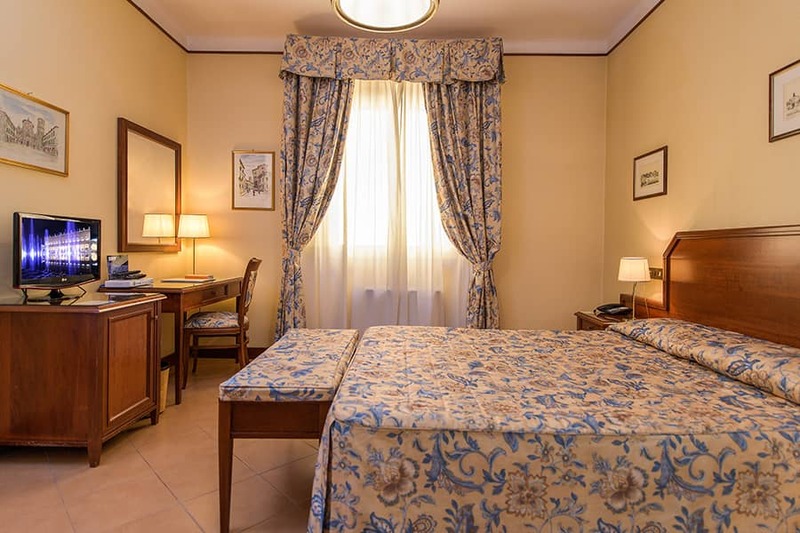 Albergo Reggio, annexe of the Hotel Posta, offers its guests 16 en-suite bedrooms with all the comforts to spend a pleasant vacation at a 3-star hotel in the historic center of Reggio Emilia. 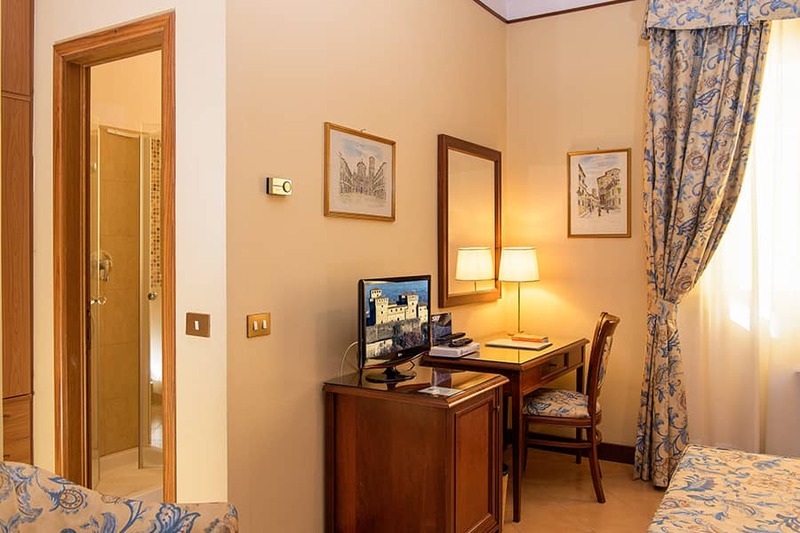 There are different room sizes, which can accomodate one to three guests with single, double, queen and triple rooms. 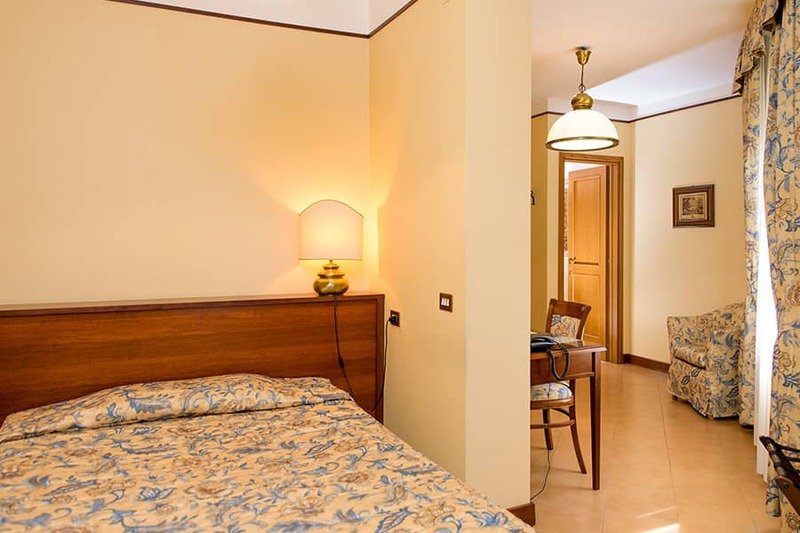 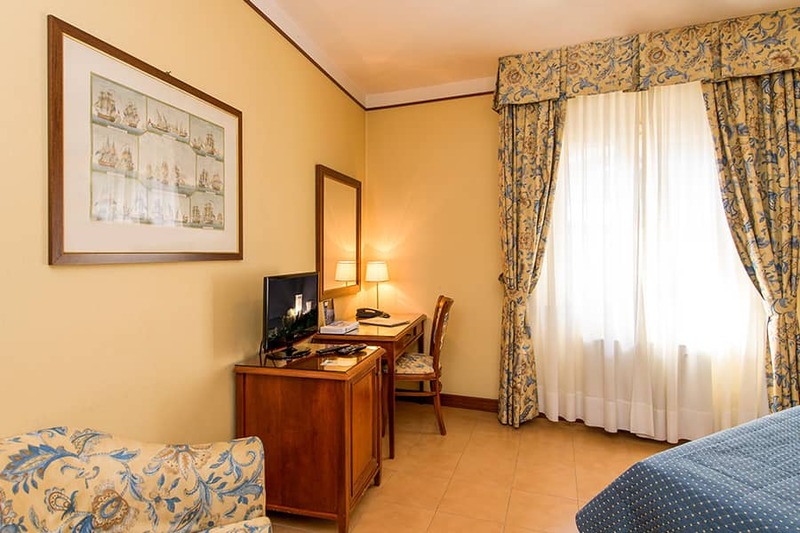 Some of the hotel rooms have a small, equipped kitchenette that makes them perfect for people who want to stay at a hotel in Reggio Emilia for long stays (business, work, study, etc) or for people who travel with children. 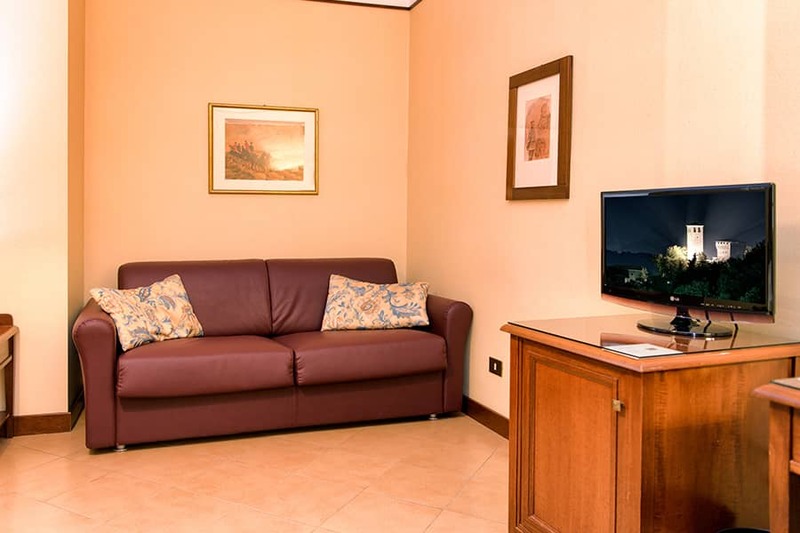 Some have a sofa bed to accomodate a third person. 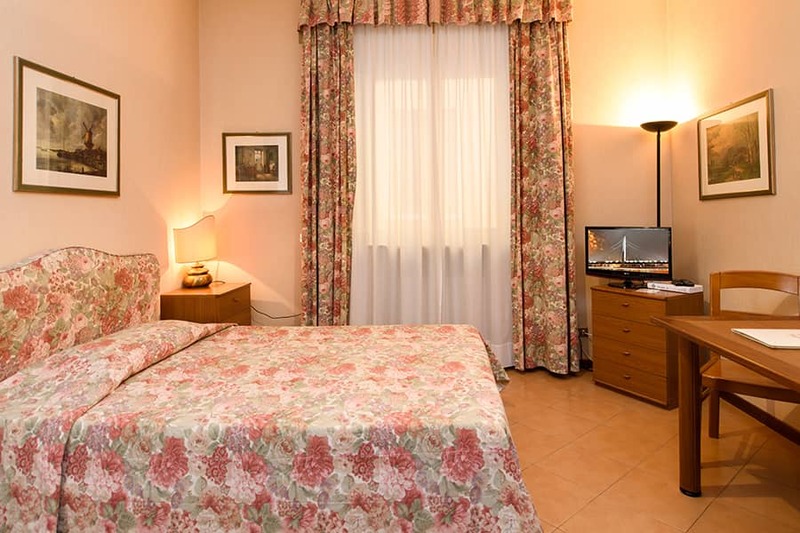 There are direct telephones, satellite and SKY channels, a minibar, safe and air conditioning. 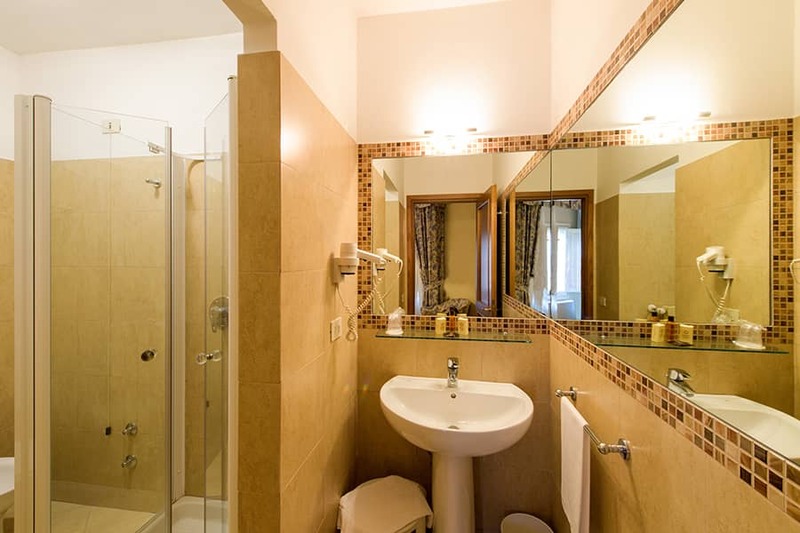 All rooms have a private bathroom with a shower or tub, hairdryer and courtesy line. 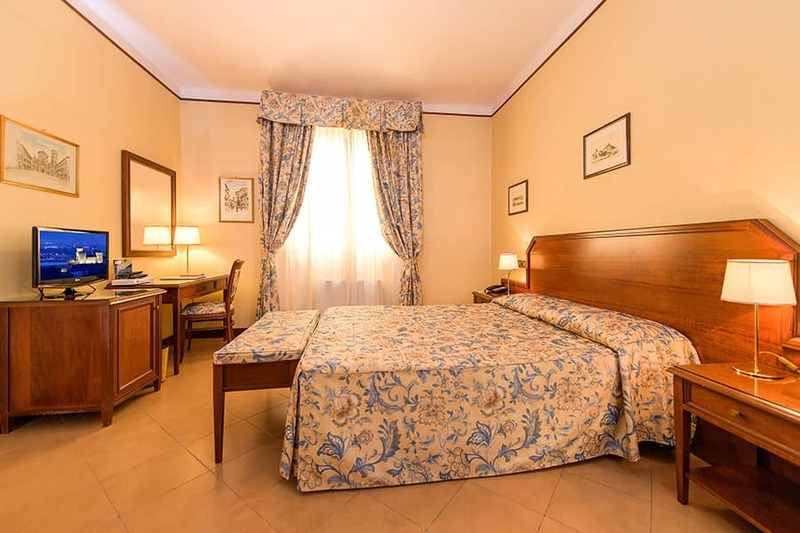 Guests at Albergo Reggio, the recently renovated and updated 3-star hotel in Reggio Emilia can enjoy all the facilities of the nearby Hotel Posta (of which it is an outbuilding), which is just 100 meters from the hotel. 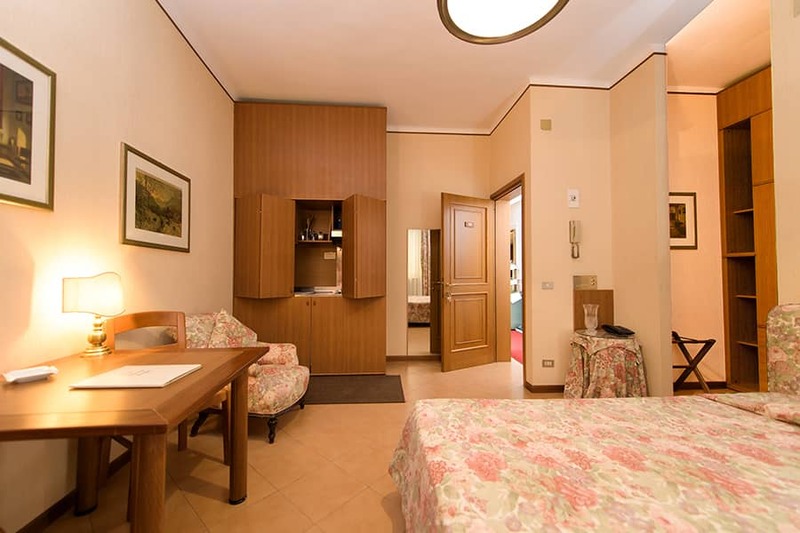 This single room with a large single bed (120 cm. 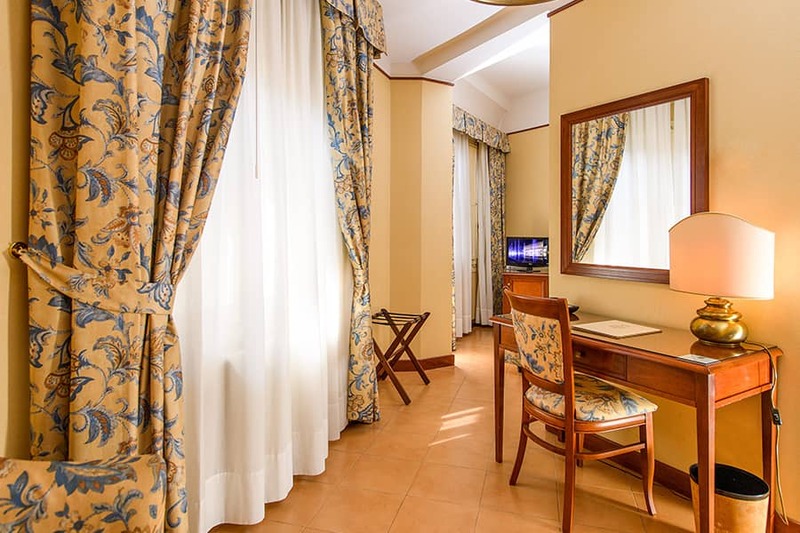 width) features air conditioning, bathroom with shower or bathtub and hairdryer, minibar, TV with Sky Channels, free Wi-Fi. 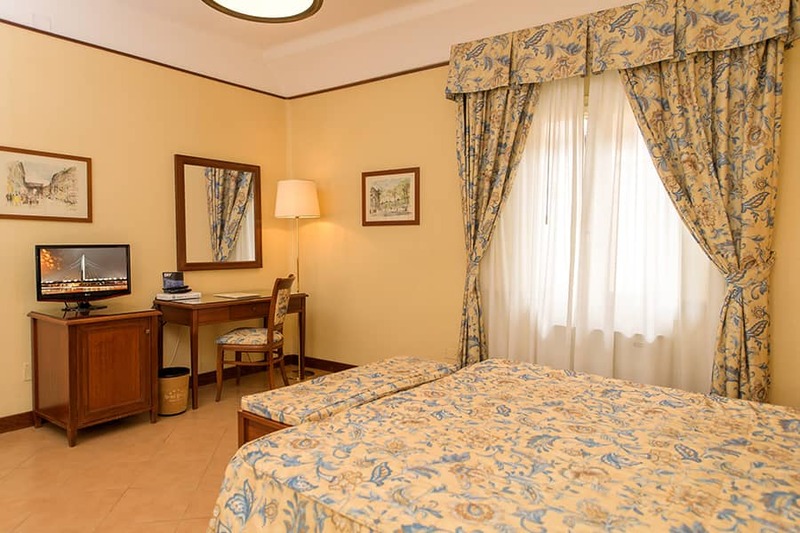 This double room with a double bed or two twin beds features air conditioning, bathroom with shower or bathtub and hairdryer, minibar, TV with Sky Channels, free Wi-Fi. 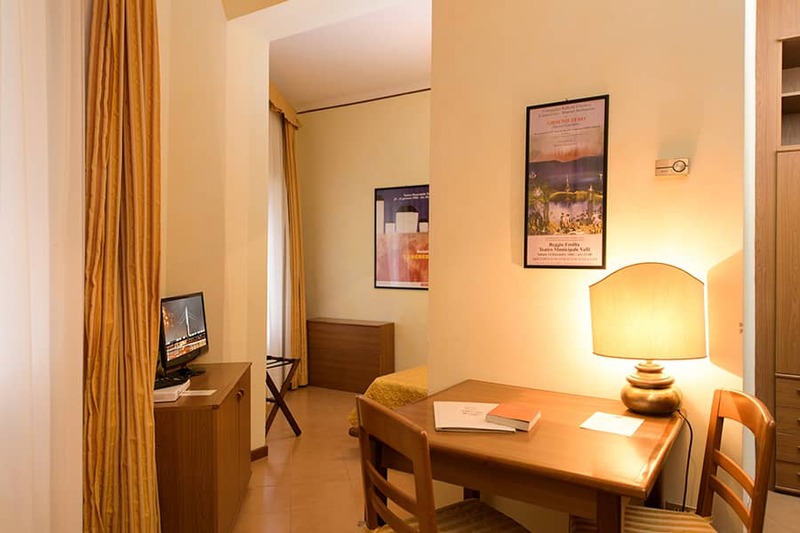 This double room features air conditioning, bathroom with a shower or bathtub and hairdryer, minibar, TV with Sky Channels, free Wi-Fi. 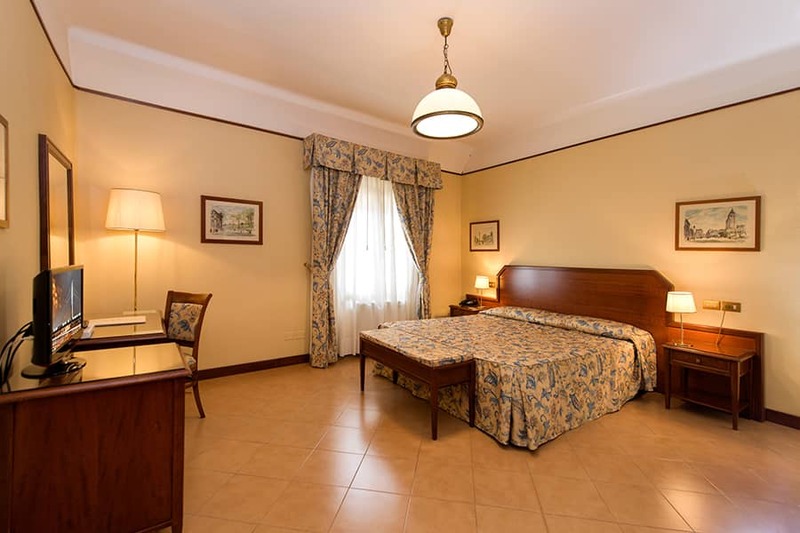 This room with twin beds features air conditioning, bathroom with a shower and hairdryer, minibar, TV with Sky Channels, free Wi-Fi. 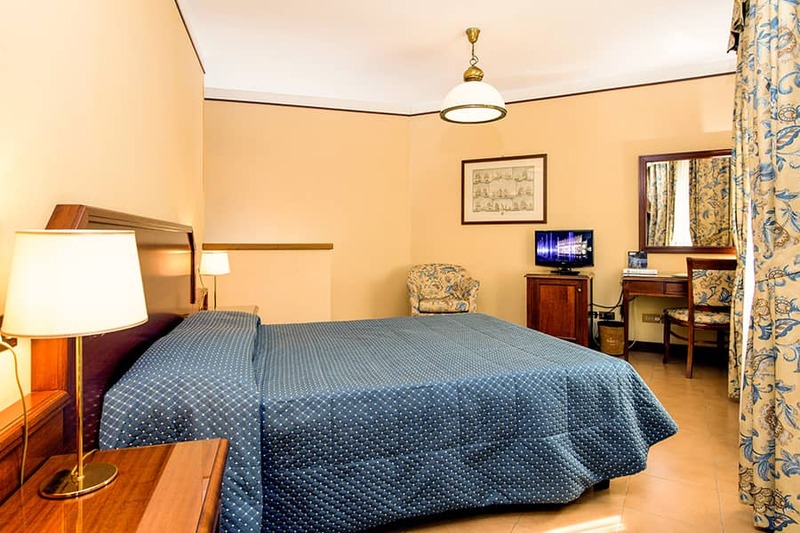 This triple room features air conditioning, bathroom with a shower or bathtub and hairdryer, minibar, TV with SKY Channels, free Wi-Fi.